Like many old fogies, I didn’t take much notice of the superannuation changes in last year’s Budget because I didn’t see that it affected me. Then a mate called to say I had better check out the transfer balance cap in my super arrangements because I could cop a penalty. Well, did I get a shock! He was talking a language I was foreign to and I couldn’t see how it applied to me. But since I could run foul of the ATO, I decided to check it out. Off we go to the ATO’s advice on the cap. I needed a translator. The Tax Office issued what they affectionately called the Law Companion Guidelines, running to over 100 pages. Piece of cake says young John. All I wanted to know was how to calculate this cap on super balances so that if I was under $1.6 million, I could rest easy and if I was over $1.6 million, I had a problem. So what makes up this cap? The on-line gobbledegook the ATO offered made me no more the wiser and when I phoned them to speak to a human being, he gave me a bum steer. So, I’ve got some dough in the old CSS scheme and it pays me a pension fortnightly. It turns out that it is a defined superannuation scheme. So what is a defined scheme. Try to find this one out if you dare! It turns out to be a scheme where a person doesn’t have any control on the movement of the pension (CSSW depends on CPI rises) and there is no cash hanging around. If the size of the pension is not dependent on say, the stock market, it is a defined scheme. The thing is that the notional amount of transfer balance (whatever that is) is counted towards the cap of $1.6 million even though the pensioner has no control over it. So if a person has a CSS pension and has taken the lump sum and put it into a private super fund because it can get more interest (9% against the CSS 1%) the two figures are added together to see where you stand against the cap. So you have the notional CSS figure and the actual cash figure in the private fund which has grown over time. Still with me? Didn’t think so. Stay with me and see if it starts to make sense. The notional CSS figure is calculated by multiplying the annual gross amount of one’s pension by 16 (a magical figure developed by actuaries – mystifying!) So for example, if one gets a gross pension of say $45,000 (on which you pay a small tax anyway), the amount you have to put towards your cap is $720,000. If you get a gross pension of $60,000 the figure for cap purposes is $960,000. So let’s say a person puts $300,000 from their CSS lump sum (which is earned over 30 years in the public service) and it grows by 9% a year over a 10 year period and you take 4% out per year, you end up with $488,700 in the fund. So you add the notional $960,000 to the $488,700 to get $1,448,700 and since it is under $1,600,00 you are fine. But if you have been prudent and provided for your retirement with a CSS pension of $60,000 and have put money into the private fund over the years to the extent that you have over $640,000, you have to shift any money over that amount out of your pension fund into somewhere else like an accumulation fund (which is taxed but your pension fund is not if you’re over 60), cash it in and spend it or invest it somewhere else that the ATO can tax you on. In other words it is shrinking the amount that people can get tax free in their pensions after they get to 60. Nice one ScoMo! Not! Still with me? Didn’t think so. So how did I find all this out? Got no help from the ATO, none at all from my CSS people, who wouldn’t even answer the phone after keeping me hanging on for over an hour. I had to wade through a stack of stuff until I spoke in frustration to a guy in my private super fund who told me how to get the info. You commence to have a transfer balance account on the later of 1 July 2017 and the day you first start to be a retirement phase recipient of a superannuation income stream. If you are a retirement phase recipient of a superannuation income stream just before 1 July 2017 (at the end of 30 June 2017), your transfer balance account commences on 1 July 2017. 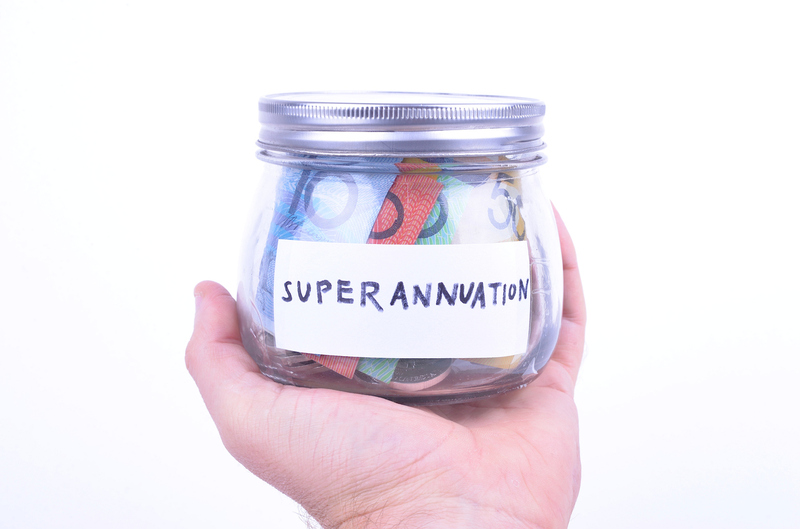 (b) a superannuation income stream benefit from the superannuation income stream is payable (that is, an entitlement to be paid commences) to you at that time or, if the income stream is a deferred superannuation income stream, the benefit will become payable to you after that time. You continue to have a transfer balance account even if you subsequently cease to be a retirement phase recipient of a superannuation income stream. You only cease to have a transfer balance account when you die. Subject to paragraph 15 of this Guideline, a superannuation income stream is in the retirement phase when a superannuation income stream is currently payable. If it is a deferred superannuation income stream, that income stream is in the retirement phase when a person has met a relevant condition of release (retirement, terminal medical condition, permanent incapacity or attaining age 65). I have deliberately given you an example of something which makes some sense. The vast majority of stuff is incomprehensible. Good luck with your tax this year! The sense of entitlement seems exceedingly strong here. The government will allow you to have $1.6million in tax free retirement savings in pension mode. Above this, you will need to keep an amount in accumulation and pay a whopping 15% tax on inputs and earnings. Yes, there will be some administration issues for people in defined benefit schemes but they are not major and can be dealt with through seeing a financial advisor if necessary. And the author believes this is onerous? He should look up to the sky and thank his deity every day that he is part of a generation and workforce (access to the CSS) that allowed such generous retirement conditions for workers that will never be seen again. This is like someone complaining about having to work out where to put their money after winning the lottery. Having been employed in the private sector or self-employed all my working life I never had the leg-up of a taxpayer funded defined-benefit pension that most public servants got/have. If that’s not an entitlement I don’t know what is. At least the government has now recognised the future worth of those (unfunded) “old CSS ” pensions by notionally capitalising the annual benefit 16 times to be added to the cap. It would appear that the OP thinks this is unfair. My retirement is totally self-funded and to get there I worked hard and paid 15% tax on all contributions plus tax on all fund earnings up until pension phase. I don’t have nearly enough to allow this $1.6 million cap be an issue and if it was I wouldn’t have an issue in paying the extra tax but to infer somehow that this is like winning a lottery is nothing more that class envy. By the way, superannuation invested in term deposits now will earn about 2.5%pa. which is one third of the rate available 10 years ago. Under the rules of a SMSF a contributor must withdraw at least 5% of the account balance annually. This means half comes from fund earnings and half from reducing capital which is not a good equation for living longer than 80 considering the spiralling costs of living in Canberra where the average wage is 50% higher than the rest of Australia. Consider that we seniors need constant dental treatment and this can easily exceed $10K a year. I would swap this for an indexed CSS type pension any day. Then I would feel entitled. My comment about winning the lottery, whilst facetious, was in two parts. The first being the extremely generous conditions of the CSS, the government correctly recognised that these were not sustainable long term, which is why it was closed to new entrants. The second being the still generous conditions of superannuation in general, with the new rules still providing a great tax vehicle to encourage people to save for retirement. Only having to pay 15% on earnings for the amount over $1.6million is more than reasonable. Oh, and very few people should be invested solely in term deposits, there’s conservative and then there’s too conservative. Capital preservation is also unnecessary long term, the money is for your retirement not your beneficiaries inheritances. Unless the money is preserved there will be no money for retirement so that’s why I am “too conservative”. Besides that, I have quite a few colleagues who were getting great returns with all their super in equities just prior to the GFC. Most lost half their capital and some lost nearly all when it happened. I have already stated the cost of living in Canberra is an impediment to making superannuation last so there is little chance there will be anything left for the estate to distribute. Anyhow, by then, whoever is in power will have a raft of “end of life taxes” to fund the rest of unfunded pensions due to public servants and their spouses. So you agree that preserving capital is actually not a good idea because retirement doesn’t require you to fund inheritances. And there is somewhere between being invested solely in equities or term deposits. If your friends remained in shares after the GFC, they would have seen very strong returns since then. Most people are retired 20years+, investing solely in term deposits is far too conservative for that kind of timeframe for the vast majority of people. This is just part of the continuing saga of Australian governments of all persuasions getting super wrong. Keating’s original model was biased against the self employed and levied additional surcharges on high income earners, despite the fact that super is for retirement and so tax should be levied on the amount accumulated at the time of retirement rather than the amount earned at the time contributions were made. Then Howard simplified it, but at too big a cost to the budget given our ageing population. Then Rudd/Gillard/Rudd complicated it again by reintroducing surcharges on high income earners, but lacked the knowledge or courage to actually reverse Howard’s changes. Now under Turnbull its been even further complicated with this balance cap. I heard one person describe it as a reintroduction of Keatingesque reasonable benefit limits with a different name. There were also some positive changes for super as well, but overall it has significantly increased complication without collecting enough revenue from the truly wealthy with massive balances. Shorten hasn’t announced any policies that would both improve equity and reduce complexity, so I don’t see the situation with super improving any time soon. You conveniently did not mention that the “truly wealthy with massive balances” do not rely on taxpayer-funded pensions. A person drawing a pension with $2m in super could expect to pay around $3,000 a year in tax if invested properly, not that I consider $2m as truly wealthy as you’d expect someone with that level of savings to draw a pension of $100,000 p.a. which I’d suggest is more upper middle class, but still quite comfortable in retirement. A person working full time and earning $37,000, just a fraction over the new minimum wage, would pay $4,312 in tax. There are people out there with $5m & more in super and I consider them truly wealthy. A person with $5m in super could still expect to pay a smaller percentage of their earnings in tax than that worker I mentioned. The Age Pension is social security and as such is a safety net to try to ensure we don’t have homeless or starving aged people. Someone drawing $80,000 p.a. from their $1.6m in super and paying no tax doesn’t need the age pension. You could argue the small amount of tax collected from wealthy retirees now is forcing the government to take more tax from the current workforce, meaning the government will end up with a larger number of people dependent on the age pension in future years.